Our prints are printed on Epson paper with Epson inks. The prints can last from 50-200+ years. We are a small, niche photo printer. Sullivan + Wolf Design, LLC is proud to announce it's limited edition, high-quality archival photo enlargement printing. We have been in business since 1989, providing graphic design and marketing services to a wide variety of businesses. Our motto has always been to deliver the highest level of quality at a reasonable price. The most bang for the buck! Owner, Brian Sullivan spent many years in the 1970's and 1980's as a master photo lab technician and manager in the Boston area, working with hundreds of artists as well as several museums to produce high-quality prints. Print making is an art, delivering the artists' message to final print. Our goal is to continue that experience and provide artists the capability to produce high-quality reproductions of their art for portfolios and for limited edition print sales. We can work with the artist to get high-end digital files of their art and then help work with the artist on layout and what paper would be most suitable for a particular work of art. 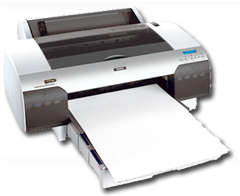 The Epson Stylus Pro 4880 represents a level of technology unprecedented in Epson's history. By combining the extreme precision of an Epson Stylus Pro print engine, along with the extraordinary performance of Epson UltraChrome K3 ink technology, Epson is once again transforming talent into imagery. Prints from the 4880 can last for many years. See this report here. More info can be found on the Epson website. We also use an Epson Stylus® Photo 2200, featuring 7-color UltraChrome inks, 2880 x 1440 dpi resolution, and ultra-fine 4-picoliter ink droplets, the large-format Epson Stylus® Photo 2200 delivers remarkable archival photos up to 13” x 19” on a wide variety of papers. The first desktop photo printer to use seven pigment inks, the Epson Stylus® Photo 2200 provides the highest quality output available from any pigment-based ink jet. 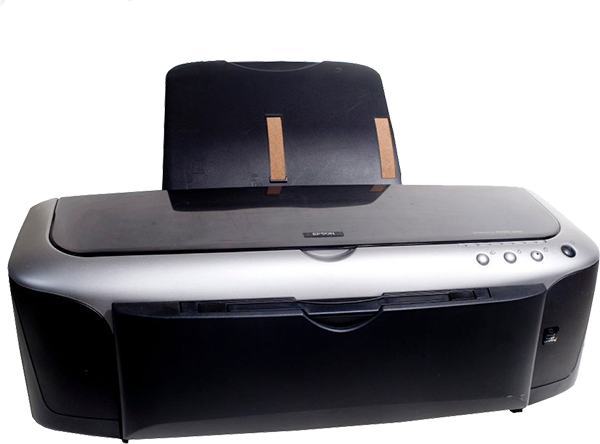 And, with its innovative ink system design with individual ink cartridges, it ensures the deepest, darkest blacks for prints and enlargements on both glossy and matte paper. The Epson Stylus® Photo 2200 delivers archival results with reported lightfastness ratings of up to 90 years for color prints, and up to 100 years for black and white prints.